I was adding a flagstone patio and being an artist, I had a good idea of how I wanted it to look. 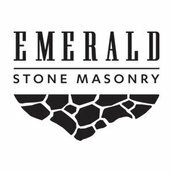 I hired Emerald to do the work which invovled preparing the site, then bringing in and strategically placing boulders and finally setting the flagstone in a paticular pattern. It was a fun project and I was very pleased with the willingness of Chris to work with my ideas (even taking me to chose the boulders), and make changes when neccesary. He has a good sense of design and is creative. The men who did the hard labor were great to work with---they took pride in what they did and worked hard even when the temps were over 100 degress. The patio came out great, was finished in a timely manner, and I would be willing to hire Emerald again.